We specialise in American vehicles including Asian imports, and are proud to serve our US neighbours. 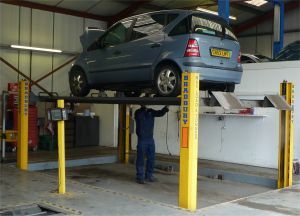 We also provide a comprehensive range of servicing for UK and European vehicles. From a simple oil change to a full service, we are happy to maintain your vehicle in line with recommended intervals. We have access to all manufacturer servicing data, so you can be assured that the work is carried out correctly, every time. Be sure to ask about the recommended timing belt replacement interval for your vehicle. Recent changes in UK regulations mean that vehicle servicing carried out at an independent garage – such as ours – will not invalidate your vehicle’s warranty as long as any parts used are to original manufacturer’s specification. Cooper’s Garage has a policy of retaining all old parts for your inspection. All work carried out will be itemised on your invoice, service and maintenance records are stamped and dated, and all work is guaranteed for 12 months.